About Alexandrea Finney: Hanging out in the far west suburbs of Chicago, Saint Charles Illinois to be exact, I’m a slightly obsessed chicken keeper, garden grower, wanna-be-foodie picture taker, mother of one incredible ASD diagnosed kiddo, and lover of this messy journey called life. I hang out online at www.facebook.com/alexandreafinney. Drop in and say hi, I’d love to meet you! My journey to being a doula has found me kicking and resisting most of the way. I still have a hard time defining myself as a doula because regular on-call birth assistance does not fit in my current lifestyle and that seems to be the classical definition of “doula”. The call to support women, however, to travel with them and to stand at the end of the bridges when they travel alone, has been irresistible in my life. 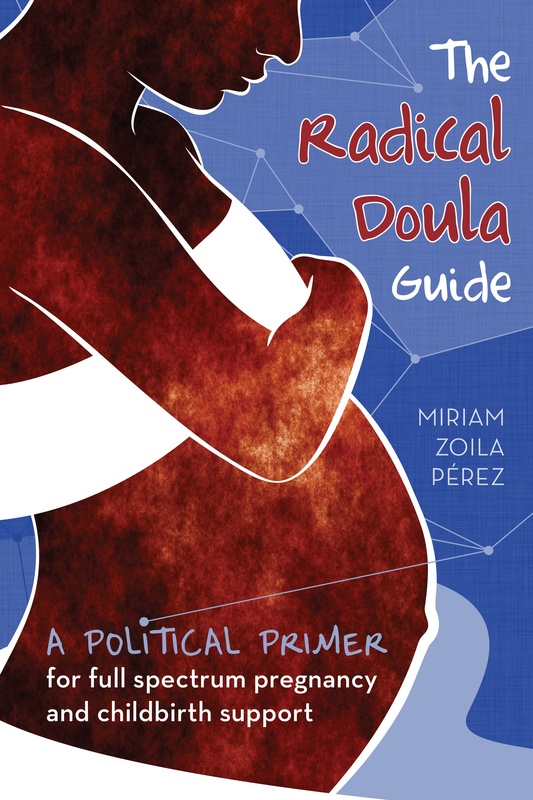 When I first heard the term “radical doula” I thought, “Yes! That’s it!”. While birth is one of the “deepest drinks” many women take in life, I can’t separate it from pregnancy, fertility, menses, loss, abortion, sexuality, menopause . . . life. For me, my doula work involves late night calls to mamas far away while my daughter sleeps, long Facebook chats where we knit together community with women who don’t have it locally, coffee shop get togethers about fertility planning, and hand holding through deep, deep grief. I hope at some point my work does involve grabbing a bag and running out the door to attend a birth, but it includes a lot more than that too. I believe that through shaming and ignorance, we have lost a valuable understanding of ourselves as women. I believe that regaining the knowledge and the mystery of our bodies changes us and changes the world. As a queer mama I have seen how shame and marginalization of the LGBT community has torn away our confidence in our bodies and its abilities. Gender queer and transexual men and women have almost no recognition or support in the birthing community. I politically support and fight for the right to fully show up in the world. Wrapping my arms around my community, finding resources and educating, and taking back full ownership of our reproductive, sexual selves is an act of political activism for me. My favorite thing is watching women evolve, “being with” as they come into a fuller actualization of who they are. I’ll never get tired of watching that happen. I would hold up a mirror that would show every pregnant and birthing human being their own deity, the breathtakingly beautiful person they are.